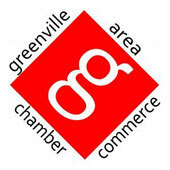 Screenworks Custom Screenprinting - Website of greenvillebusinessnetwork! The staff at Screen Works Custom Screen Printing would like to welcome you to our website. In 1990, when we started printing, it was just a hobby. However, we have grown into a business serving customers around the Greenville, Michigan area and several locations in the United States. We are a custom screen printer that has had experience in printing on many textiles such as t-shirts and sweat shirts as well as flat stock and stainless steel. We also offer a wide variety of sign supplies, vinyl lettering, advertising specialties and team lettering. We are honored to do business with many churches, schools, small businesses, and large corporations. Please take a look around our site and contactour helpful and courteous staff to place an order or discuss any questions you may have. Thanks for visiting, have a great day!